As the medical field rapidly works to adapt the many changes that lie ahead for it, many hard working and detail oriented professionals looking for employment are finding that 2014 is proving to be a great year for finding new and fulfilling jobs in medical fields old, new or rapidly expanding. One segment of healthcare growing rather rapidly is teleradiology services, which offers more quantified results to transpire from afar while slowly phasing out the ‘old school’ counterintuitive methods of treating patients with complex issues. The teleradiology system, in and of itself, is a good thing. However, when faced with a health issue, many are confused and overwhelmed by that very system – especially since many kinks still need to be ironed out from a technological perspective. Quickly becoming buried in forms, referrals, treatment options, and other red tape, navigating the future of health care can be almost as stressful as treating illnesses themselves. Confusion means stalled treatment. Stalled treatments mean potential loss of life. Patients need to focus on their health free from worry about what is happening with their care in the system, regardless of whether it deals with finances, insurance, treatment, or something else. 2014 will boast a tremendous leap forward in the teleradiology solutions niche, an ideology that 2013 hinted towards. Many people suffer with painful conditions. Depending on their severity, these conditions can have a detrimental effect on a sufferer’s quality of life – affecting the way they work, or how they choose to spend their spare time. Sufferers need quick care; teleradiology will bring that stronger than before. A worldwide mandate for accurate, more expedient teleradiology services is so vital and the dangers so high that there is almost a ‘balderdash’ feeling instilled into most business activities associated with this quickly expanding. Radiology group practices are under pressure to handle more medical imaging in the face of an unrelenting radiologist shortage. In 2001 alone, reports suggested that 7000 additional radiologists were added to local economies, thanks largely to the growing availability of digital imaging and the technological advances that make conveying results to doctors around the world quicker. That was 13 years ago. 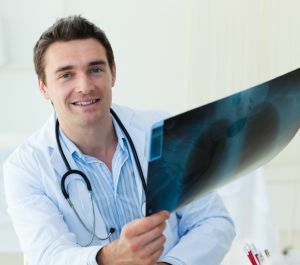 Imagine the speed, accuracy and connectivity available to radiologists now that we’re hitting full stride in 2014. Medical facility credentialing is still, even with teleradiology services being past infancy, the greatest barrier to teleradiology practicing in the United States by overseas radiologists. Considering few are trained and properly board-certified within our borders, the process of getting American licensure to practice still drags on. This means qualified professionals are kept away from the decision making process. Although noncertified teleradiology experts may qualify for credentialing in certain states, many that lack formal citizenship still tend to face quandaries when applying for coveted hospital credentials. Look for 2014 to implement streamlined measures which allow overseas Ph.D.’s to become credentialed much quicker within American hospitals which, for patients, stands to become a tremendous victory. As baby boomers are retiring from their careers in the workplace, they have begun to engage, learn, and interact with new types of technology. Companies and corporations have taken notice, and have begun manufacturing different types of technology that allow baby boomers to lead happier, safer lives. Trickling down into the world of teleradiology services is newer technology that both assists, and educates, our baby boomers so treating menial or life-threatening conditions doesn’t take weeks as it did just a few decades ago. Overall, 2014 is looking optimistic for teleradiology professionals and patients alike.